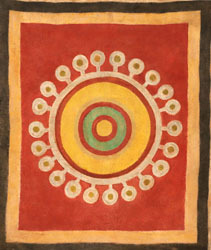 Jamini Roy, who was inspired by folk traditions created an Alpana or a floral motif that was considered to be sacred painting in Bengal because it was done on special occasions .The alpana which is usually done with hands and a rice paint on the floor was done with tempera on cloth instead. Roy used abstraction, rejected the typical western style of painting with folk line and colour. 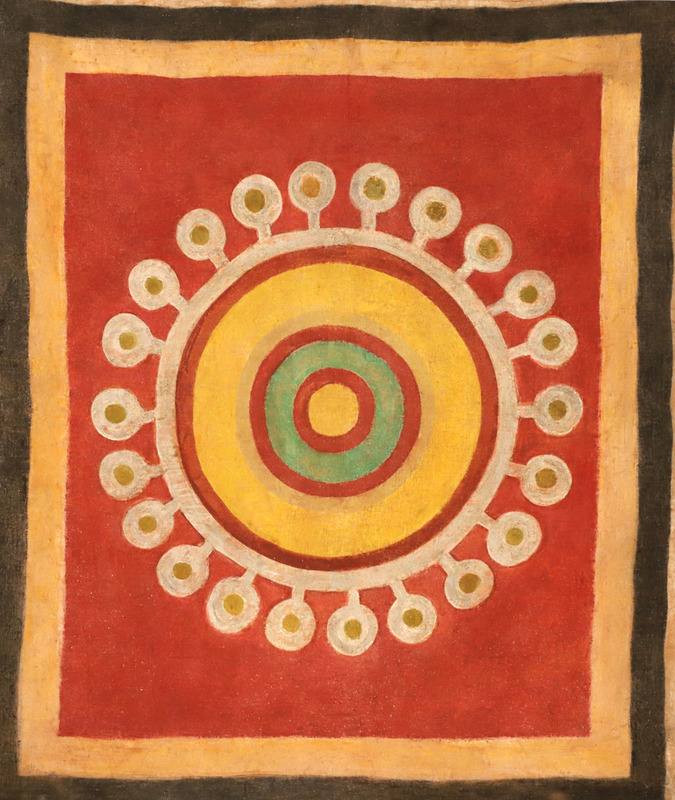 He invented his own style which was inspired by primitivism and with stronger colours, simplification and pattern.This alpana is an indigenous inspired abstraction of a landscape in Bengal. As this was done in the 1930s, he was far ahead of his peers in his contribution to modern art in India.